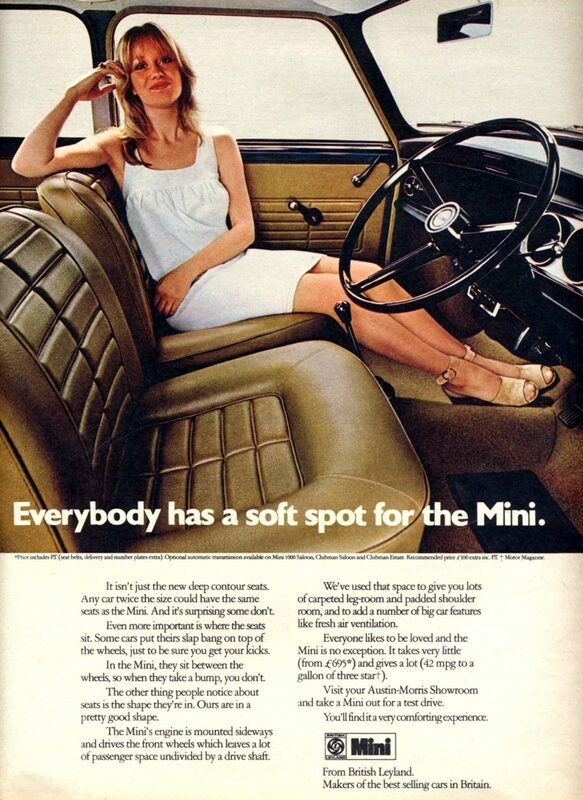 As the ‘60s were coming to a close, British Leyland hired Ford designer Roy Haynes (responsible for the Ford Cortina MkII) to revamp the Mini for the 1970s. 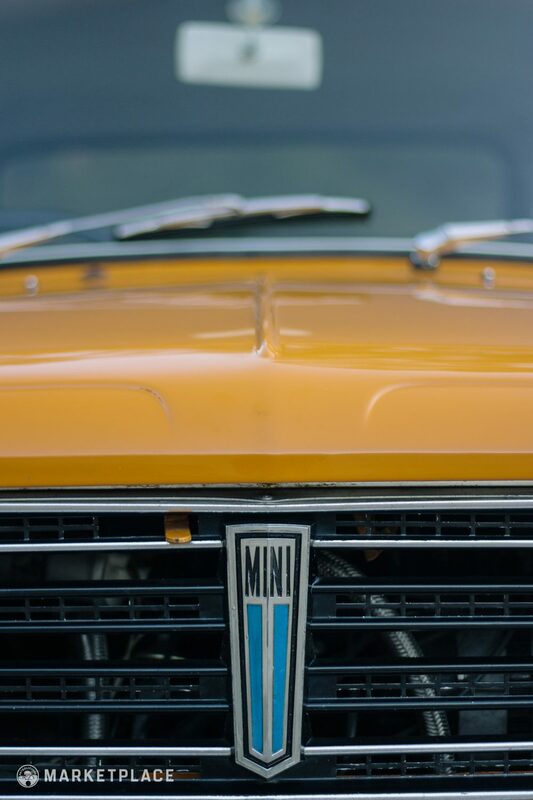 Haynes restyled the entire front end of the British microcar with a boxier snout featuring a fender-to-fender grille section with larger headlights sitting atop a revised front bumper. 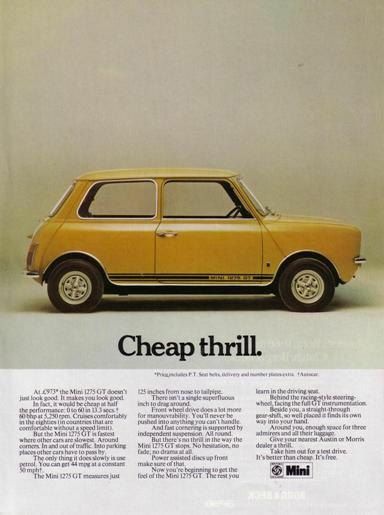 The restyled model was offered in two trim levels: the Mini Clubman, and the Mini 1275 GT. 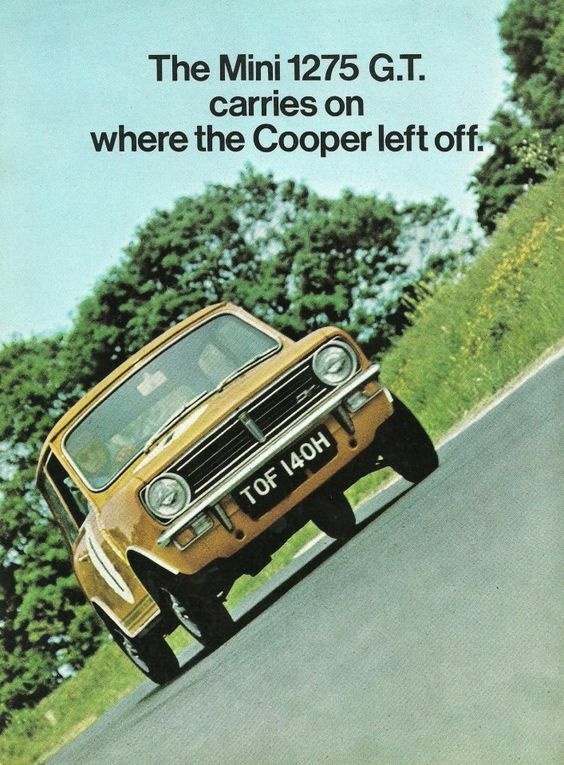 Originally slotted to replace the Cooper S, the Mini 1275 GT was produced alongside the Cooper S until 1971. 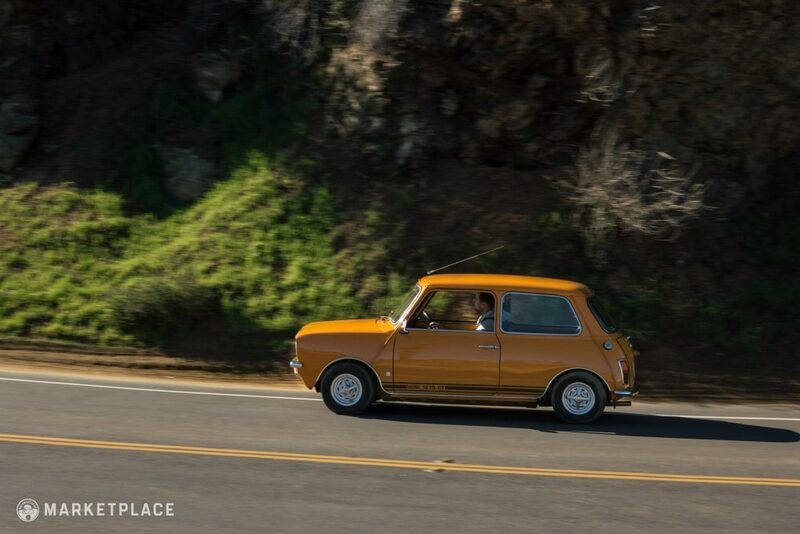 The new GT featured a 1,275 cc four-cylinder and a unique four-synchro close-ratio four-speed manual gearbox—previous Mini transmissions didn’t come equipped with a first gear synchro. 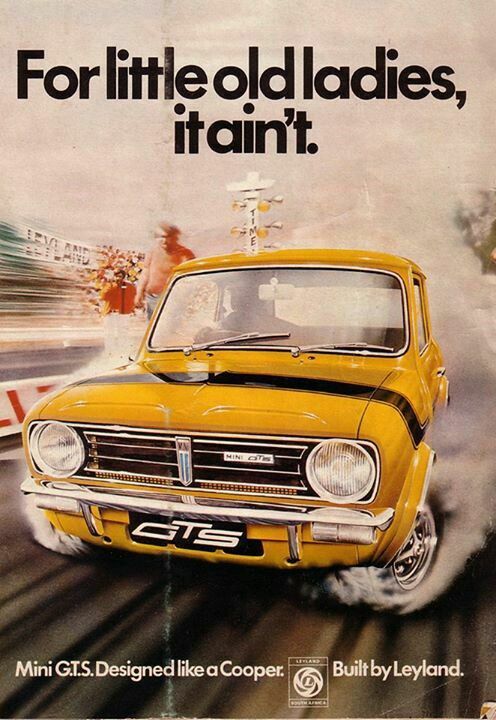 The 1275 GT, although not quite as quick as its Cooper S predecessor, was cheaper to buy and operate compared to the S. The 1275 GT was also the first Mini to receive a tachometer. 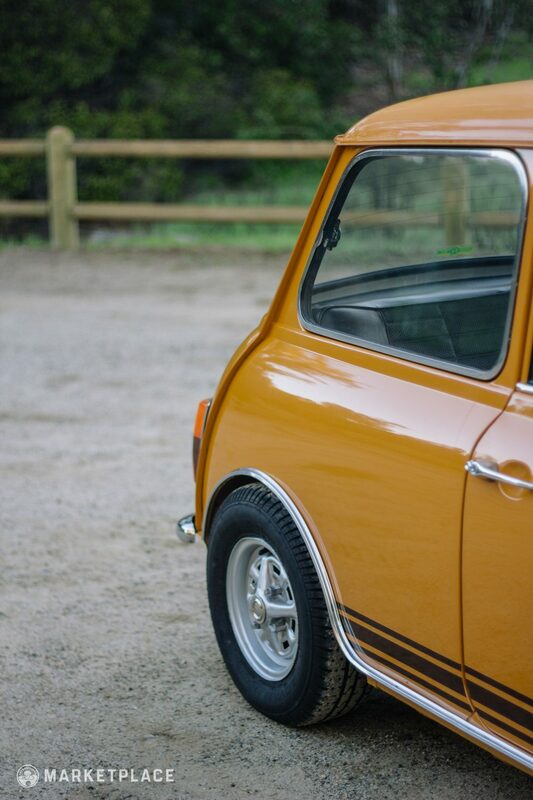 10-inch Rostyle alloy wheels fitted over 7.5-inch Cooper S carryover disc brakes came standard. 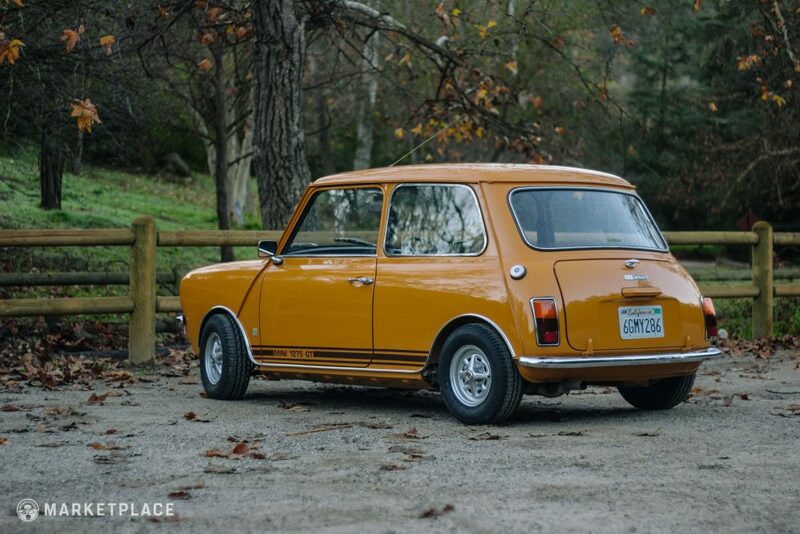 The original “round-front” 1959 Mini design is a tried and true classic, but the 1275 GT marks a unique point in styling for the cult-followed British “People’s Car.” With a boxier front end, 70s flank graphics, and unique standard equipment, the 1275 GT is a fully-loaded sporting saloon that’s still very much Mini, just with some added flair. 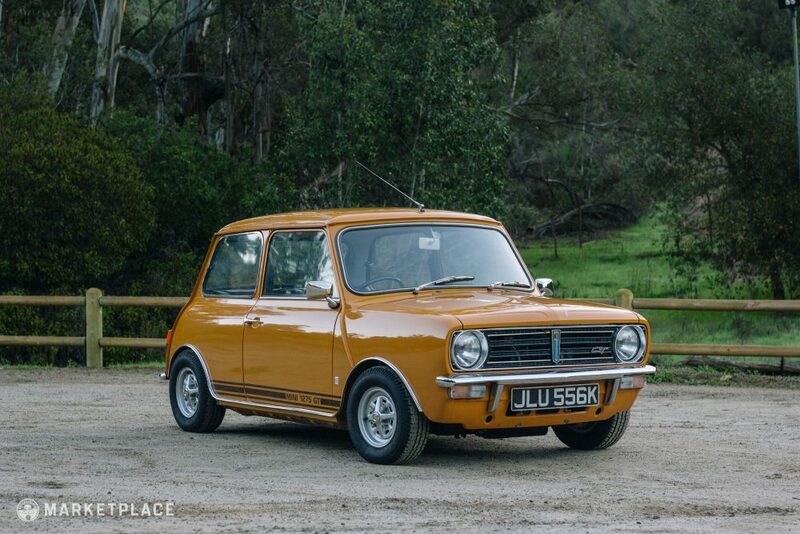 The owner of this 1971 Mini 1275 GT found the car parked unloved on his brother’s work premises at Somerford Mini. 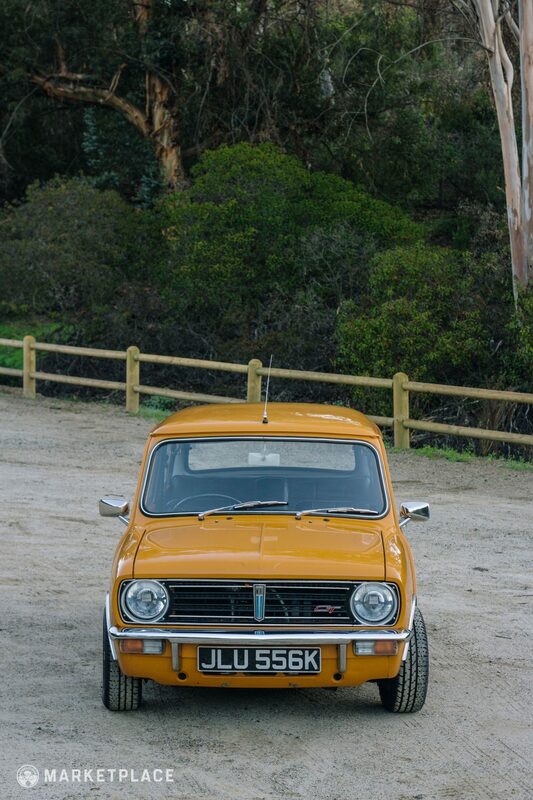 Purchased in 2004, the current owner spent thousands of dollars restoring this 1275GT model from the ground up. 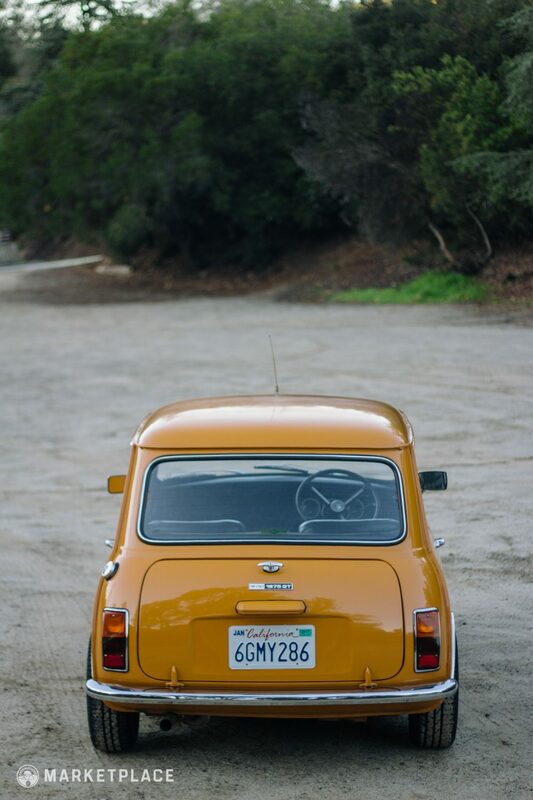 The Mini specialists at Somerford Mini in the UK were hired to carry out the complete restoration. 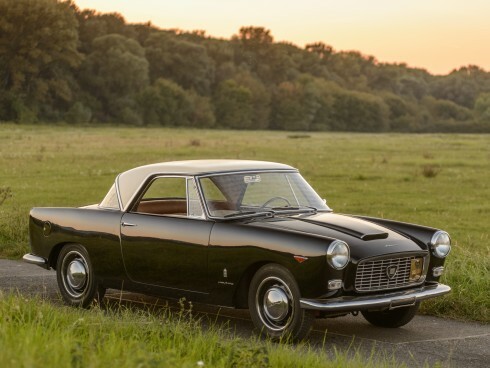 The car has done less than 10,000 mile since its full restoration, when the original 1,275 cc engine was punched-out to 1,293 cc and rebuilt to a slightly modified specification. 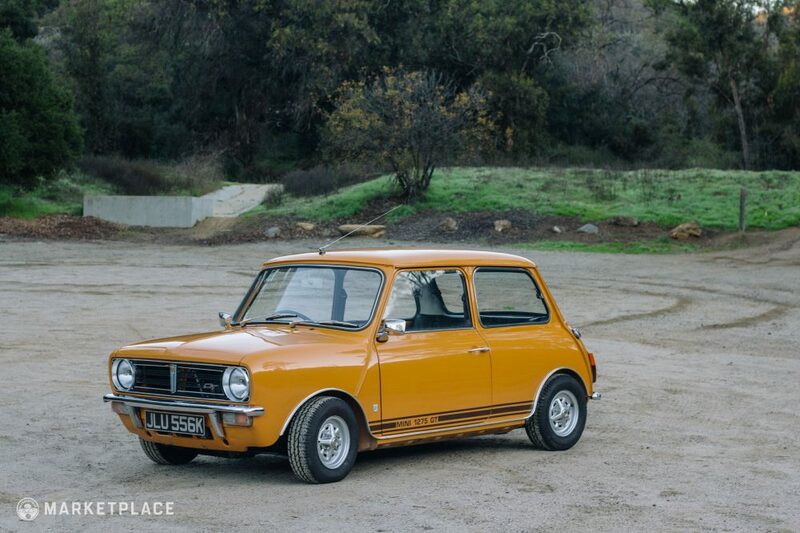 The rebuild mimics the BMC “Special Tuning” spec for the Cooper S upgrade that was offered in 1971, which consists of twin 1.25-inch HS2 SU carburetors, Stage One ported and polished head with larger valves, a Kent 276 camshaft, and a lightweight flywheel. 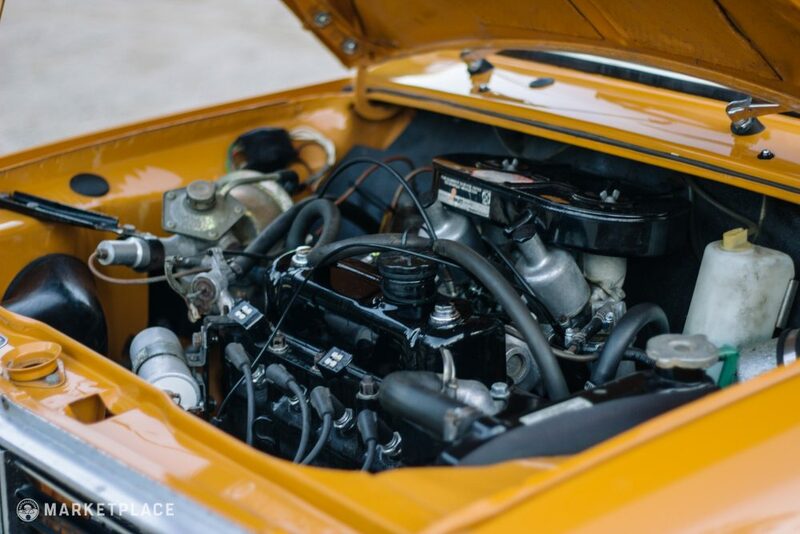 The engine was fully balanced and fitted with an electronic ignition system for more reliable start-up, and the original DC generator has been replaced by an AC alternator for additional reliability improvement. 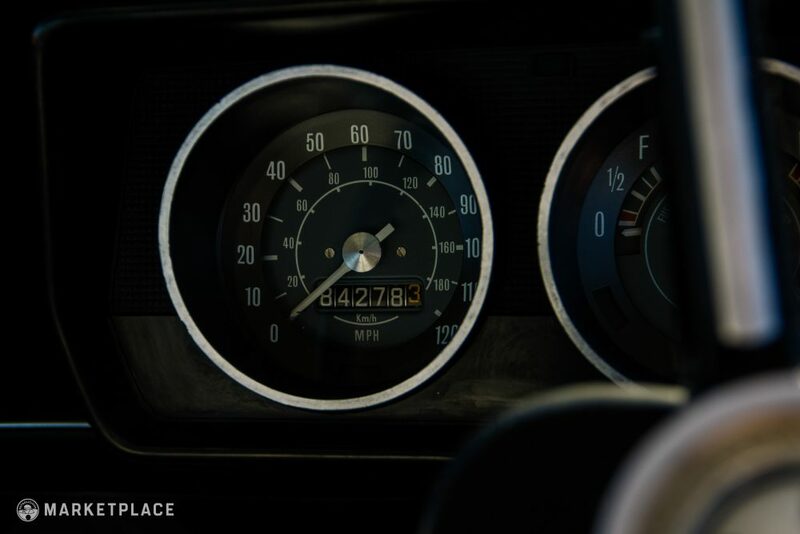 The correct and original four-synchro close-ratio four-speed manual transmission is still in place and was rebuilt alongside the engine. 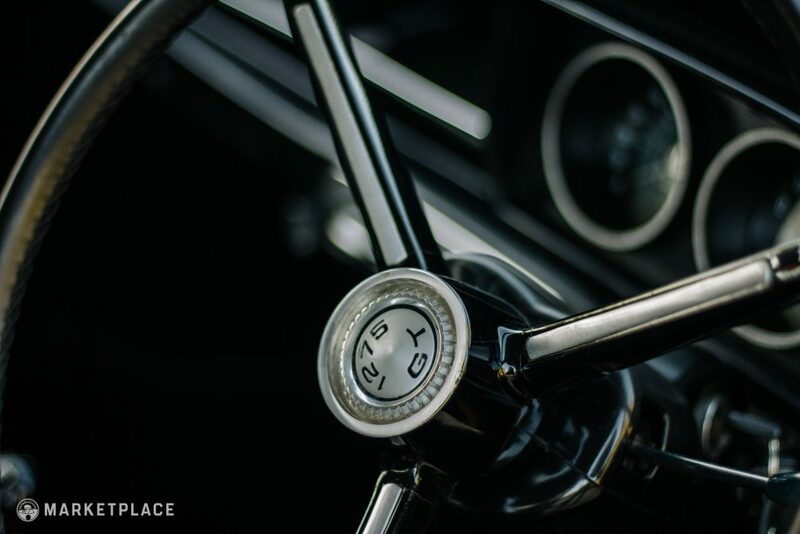 The transmission received all new bearings, seals, and bushings in addition to having any worn gears replaced. 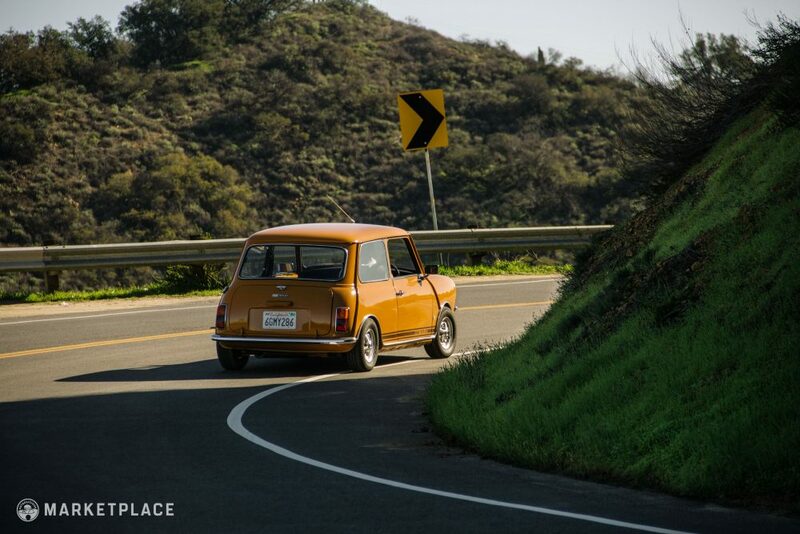 Several body panels were replaced with authentic British Motor Heritage pieces to ensure a proper fit. 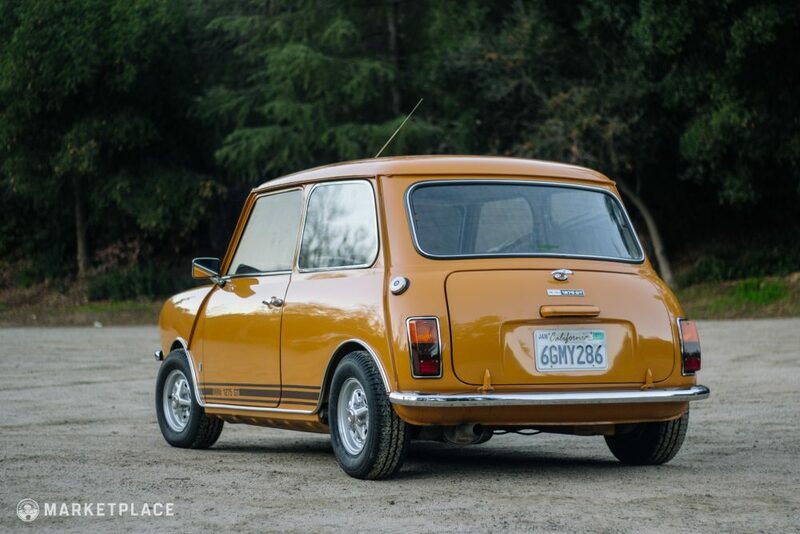 Once the bodywork was ironed out and perfected, a professional application of its original Bronze Yellow nonmetallic paint was resprayed. 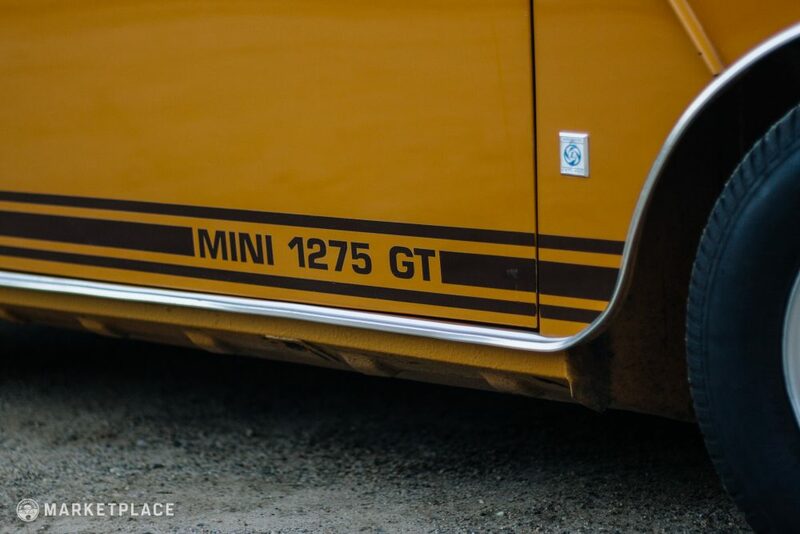 New Mini 1275 GT side graphics were applied and all brightwork, bumpers, and trim were installed to a high standard. 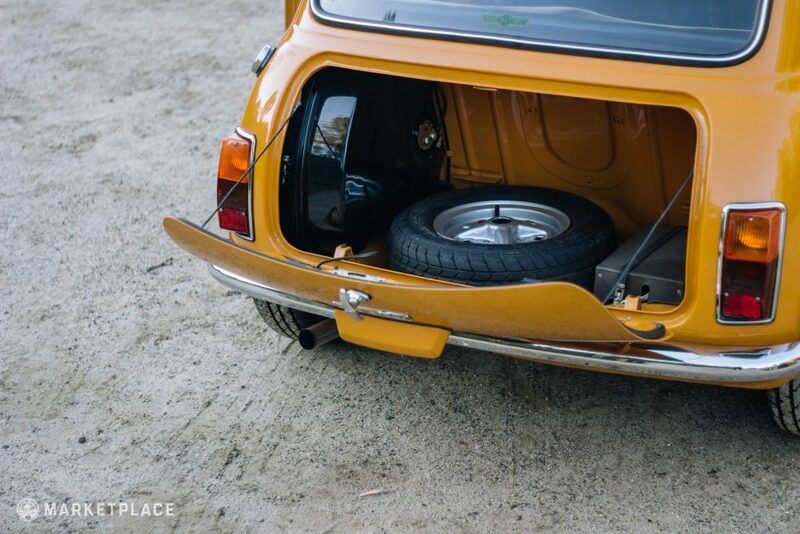 The correct 10-inch Rostyle sport wheels retain good finish. 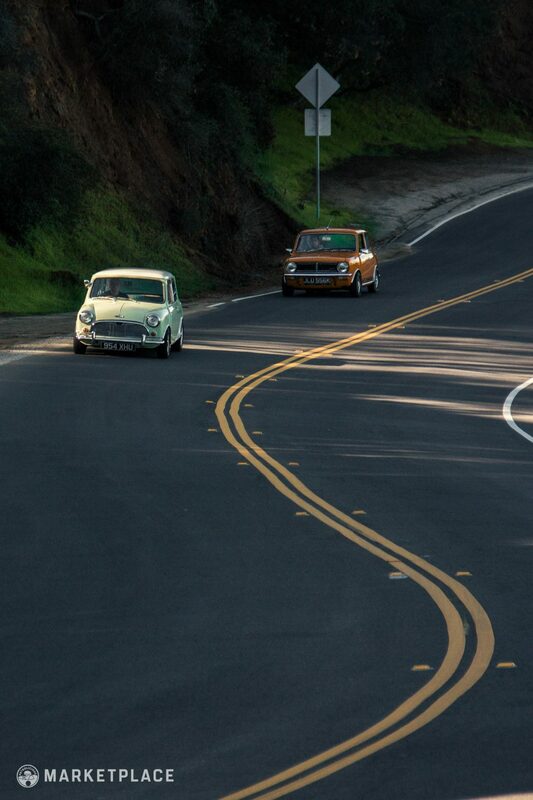 The interior was also overhauled with a combination of original trim and Newton Commercial replacement materials. 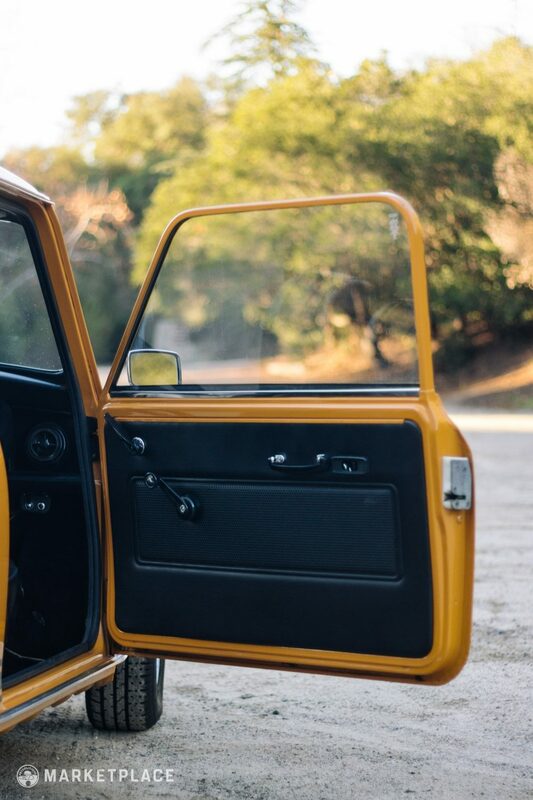 The seat covers, door panels, and headliner are OEM-style pieces sourced from Newton Commercial. 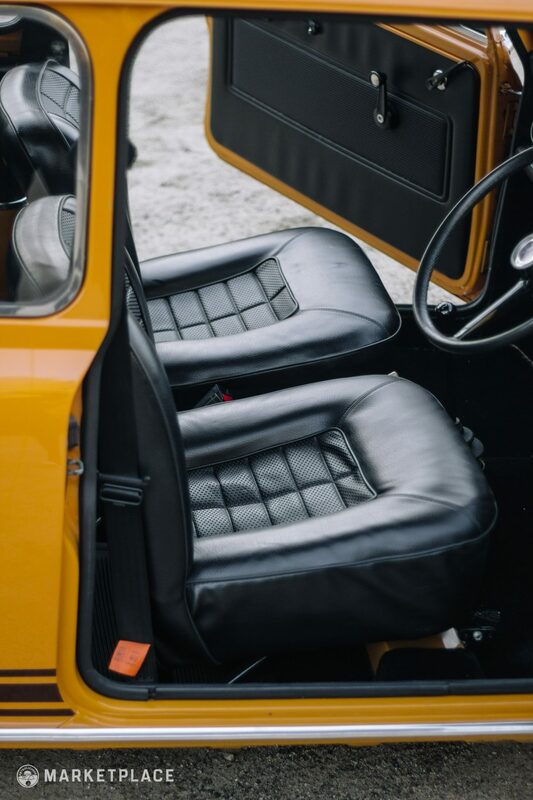 The floor is lined with extremely rare new old stock BMC original “veltone” carpeting, and the steering wheel is an original 1275 GT wheel that’s been re-trimmed in black leather. 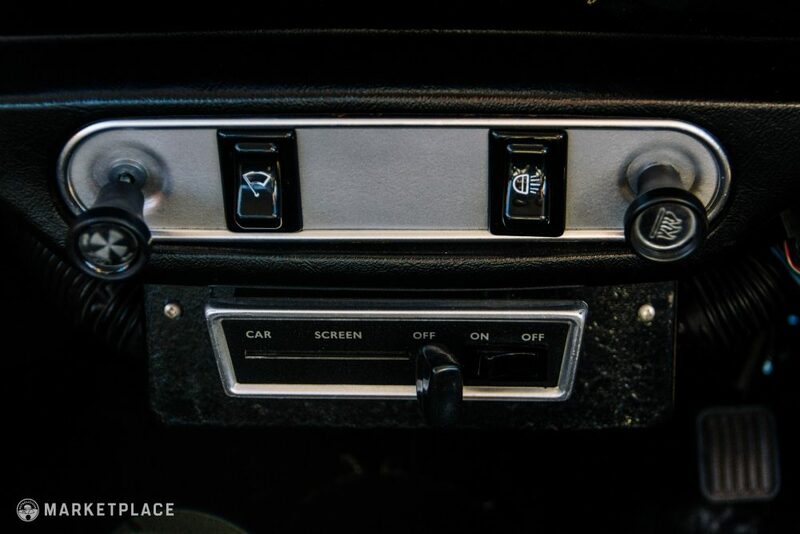 A modern stereo unit was installed with speakers hidden under the rear seat. 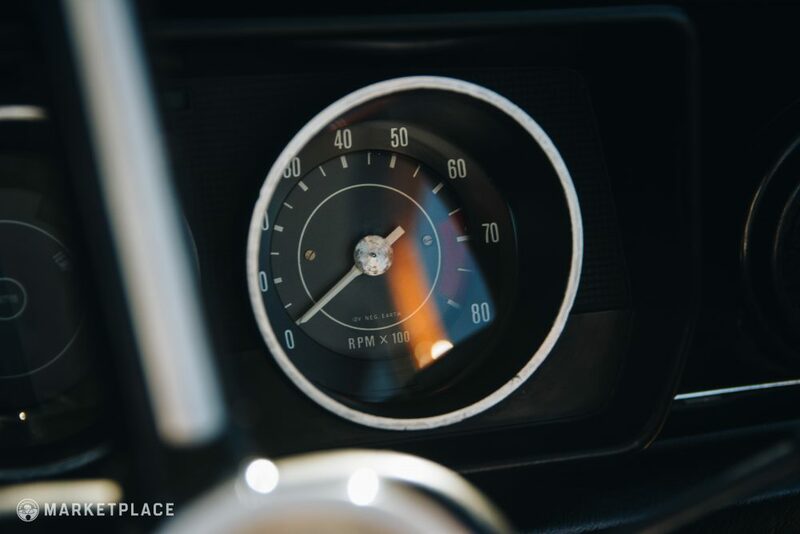 All three original instruments are functional and clean, including the 1275 GT tachometer. All switchgear and accessories are correct, clean, and operational. 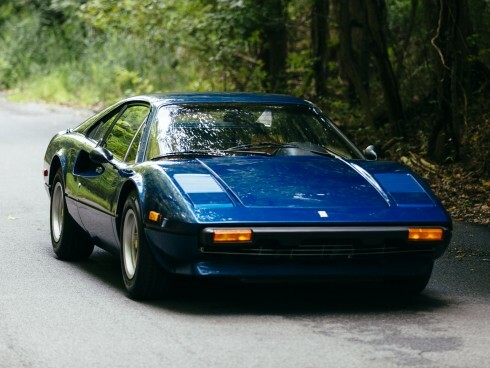 Body – The body is straight and consists of many original panels, with some having been replaced with authentic British Motor Heritage pieces. 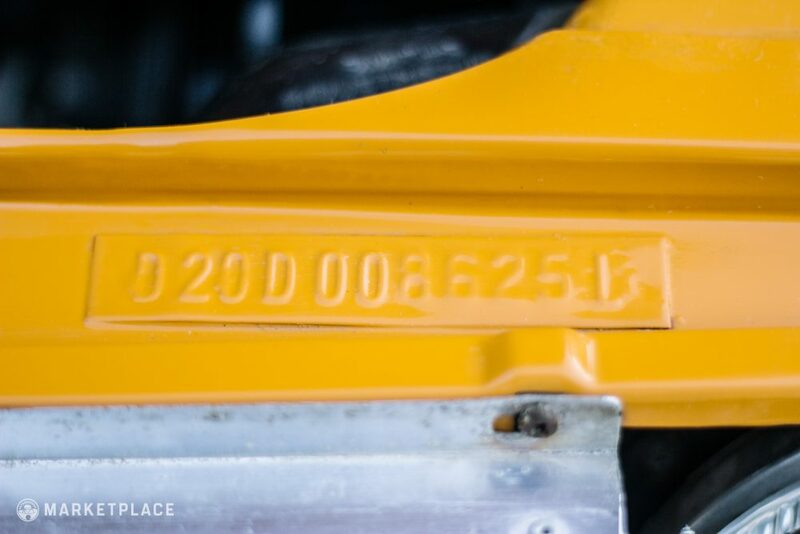 The body is exceptionally straight and totally free of rust. 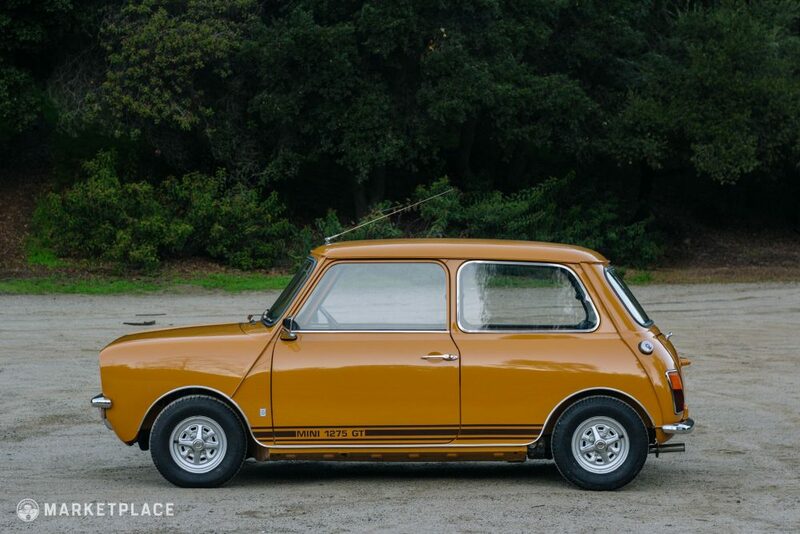 Paint – The Bronze Yellow factory color respray is nearly flawless with great shine and is finished with the proper “Mini 1275 GT” side graphics. 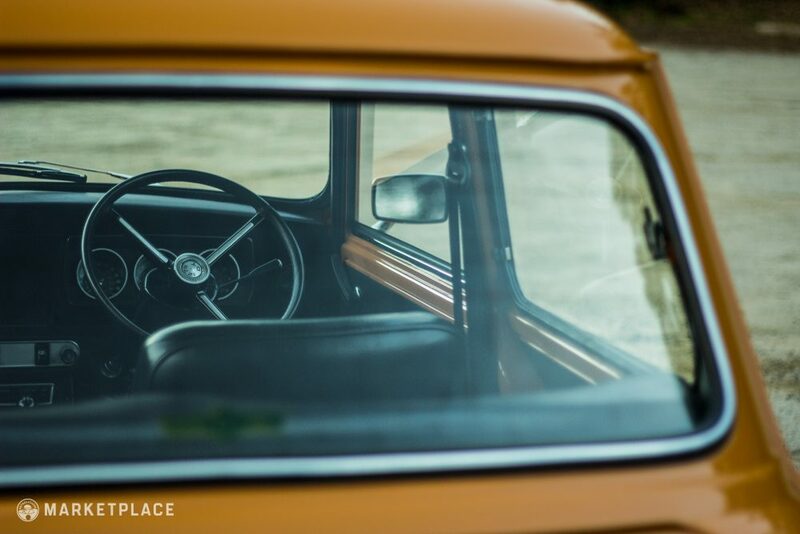 Trim & Glass – All pieces of glass are original pieces in excellent condition with no major imperfections to note. 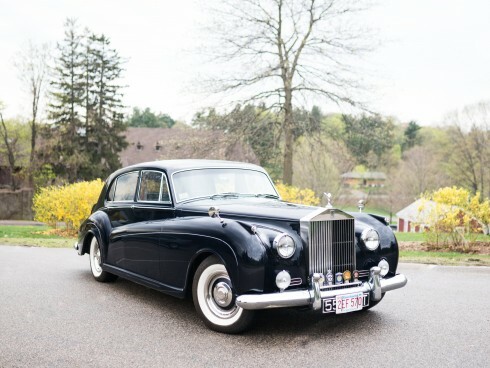 The chrome trim, brightwork, bumpers, badging, and grille are free of hazing and have an even shine throughout. 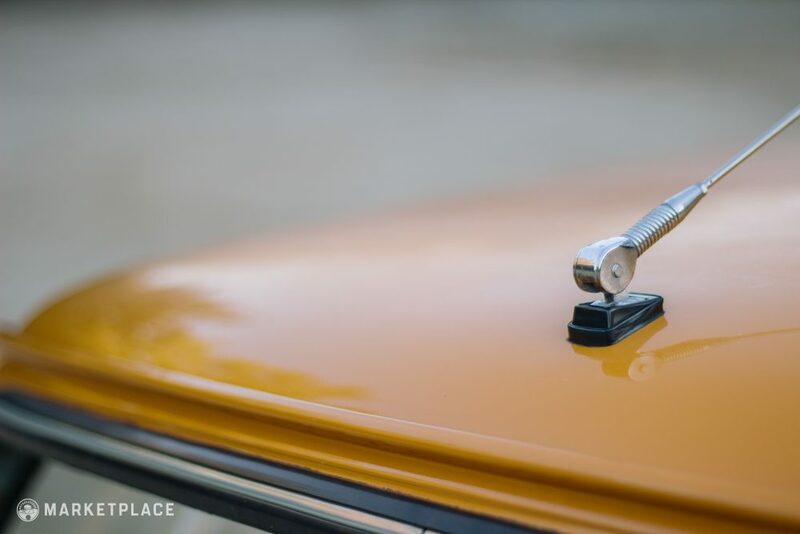 Wheels – The correct 10-inch original Rostyle wheels are included with only minor scuffs on the lips incurred from tire mounting and dismantling. 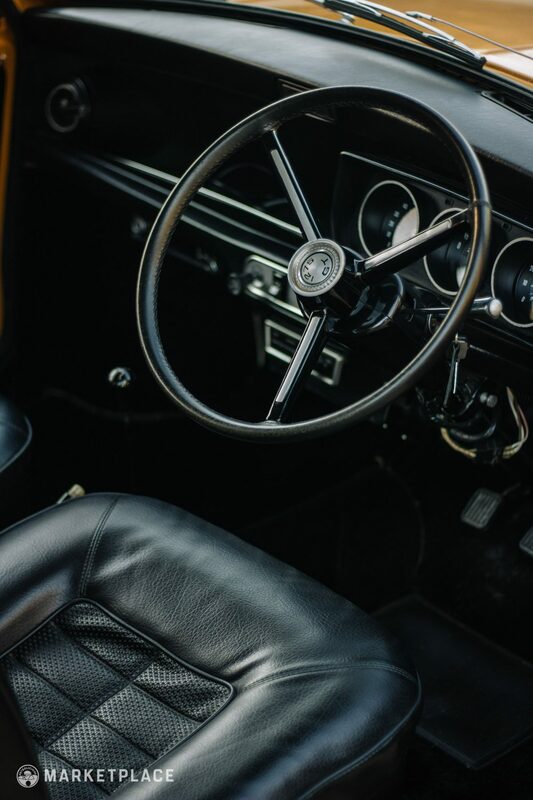 Steering Wheel – A proper 1275 GT three-spoke steering wheel is in place and has been wrapped in fresh black leather, as per the original finish. 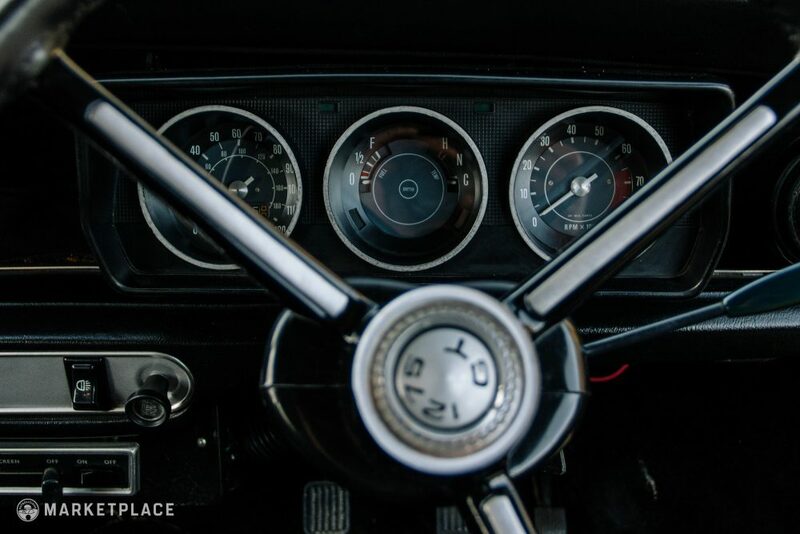 Dashboard & Instrumentation – The original dashboard is complete with all switchgear, factory gauges, complete center console heating controls, and a modern radio. 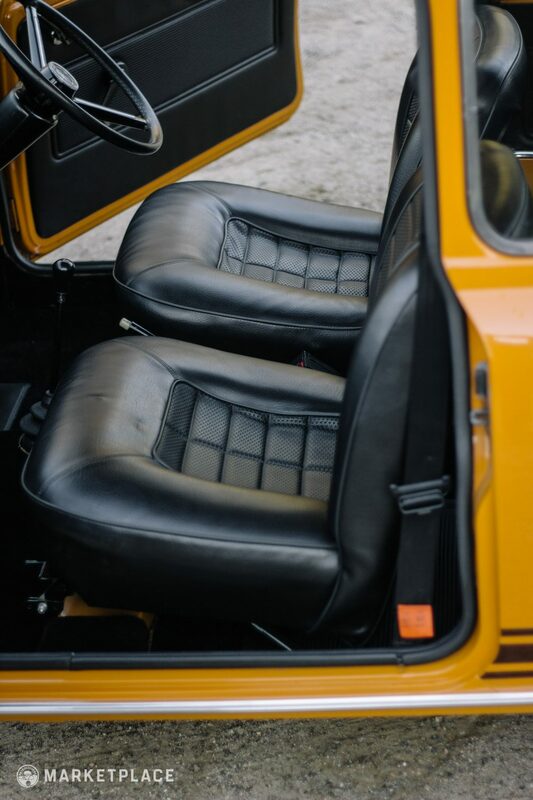 Seats, Trim, & Carpet – The seats, headliner, and door panels have all been reupholstered with OEM style replacements sourced from Newton Commercial, while the floor has been fitted with very rare new old stock BMC original “veltone” carpeting. 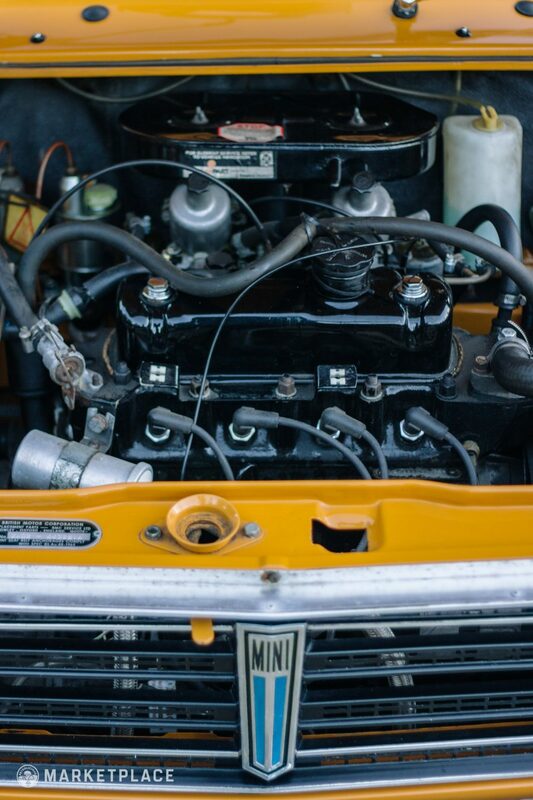 Engine – The original 1,275 cc four-cylinder was professionally rebuilt and punched-out to 1,293 cc by Steve Harris, a former engineer at the legendary Mini tuners Downton Engineering. 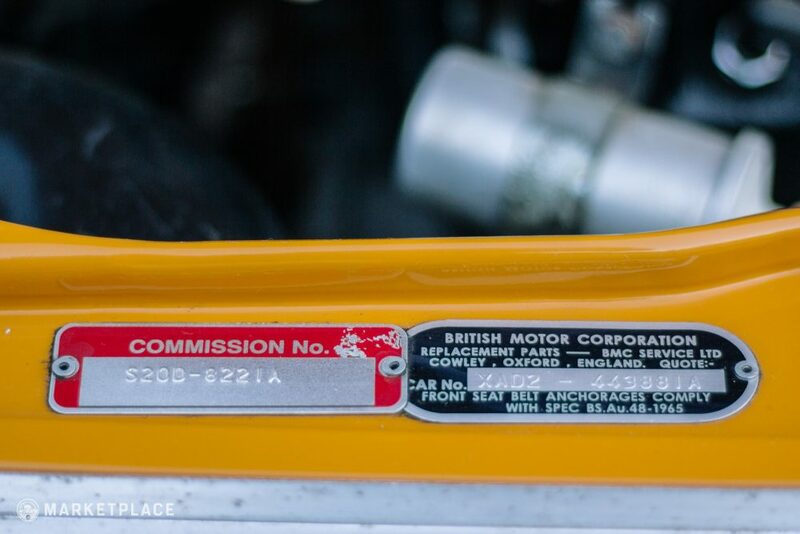 The engine rebuild was made to Cooper S BMC factory upgrade spec. 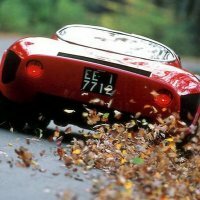 The DC generator was replaced with an AC alternator and a modern electronic ignition system was installed for more consistent, reliable start-up. 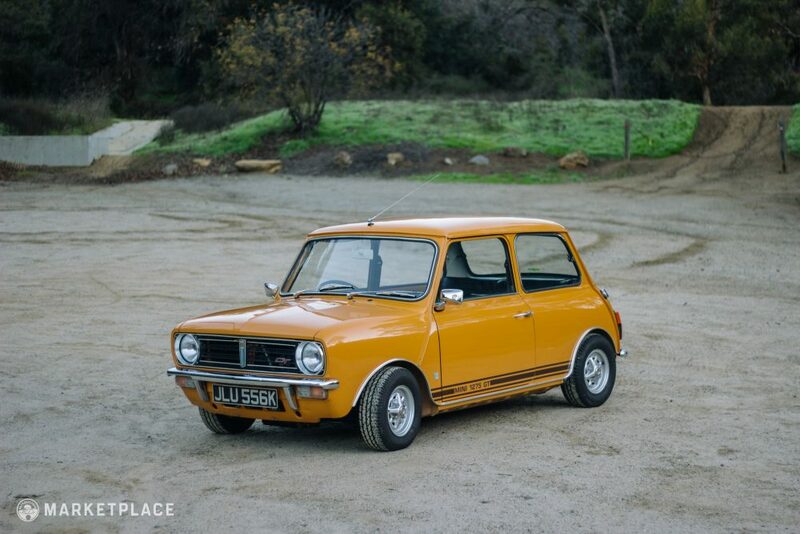 The Drive: The car fires up, idles smoothly, and drives delightfully with healthy power with no leaks or odd noises. 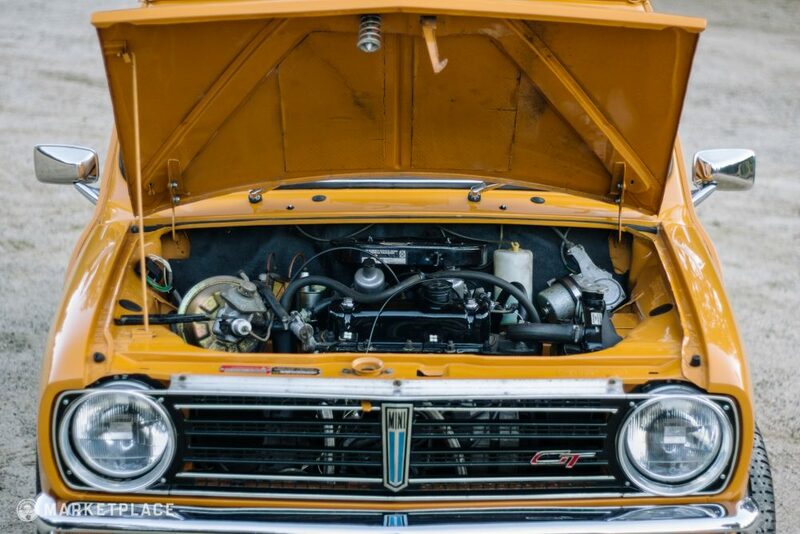 The Cooper S factory upgrade engine build makes good power that revs up beautifully, and the torque band is surprisingly plentiful. 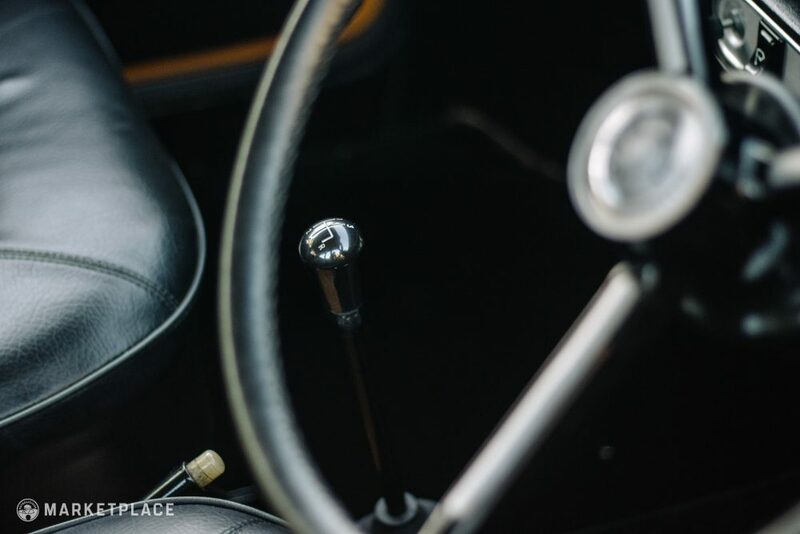 Transmission – The original four-synchro four-speed manual gearbox was also rebuilt, with new bearings, synchros, and replaced gears where needed. 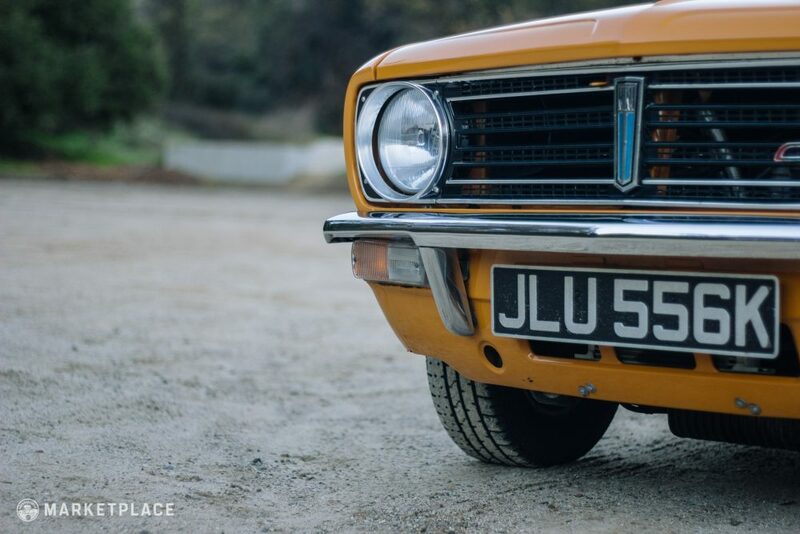 The Drive: The car shifts smoothly with no grinds or pop-out issues and is an absolute joy to operate thanks to its close-ratio configuration. 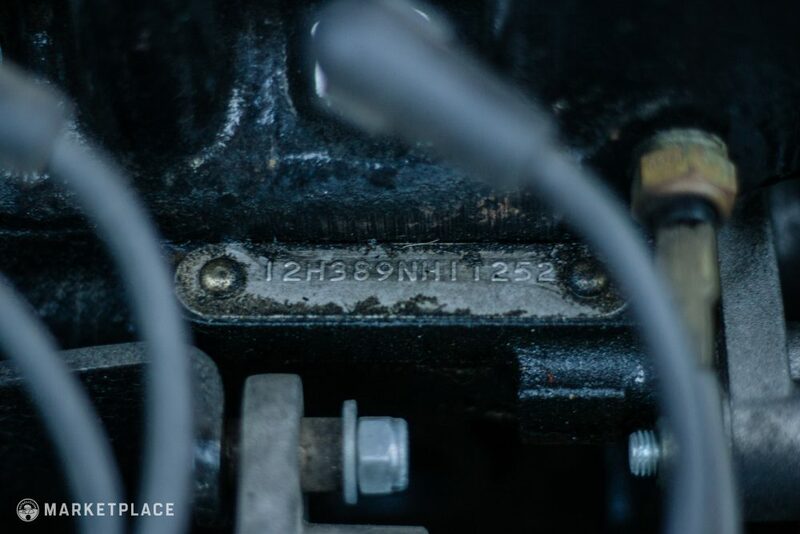 Handling – All new OE replacement suspension components and bushings were installed during the 2004 restoration and remain in like-new condition. 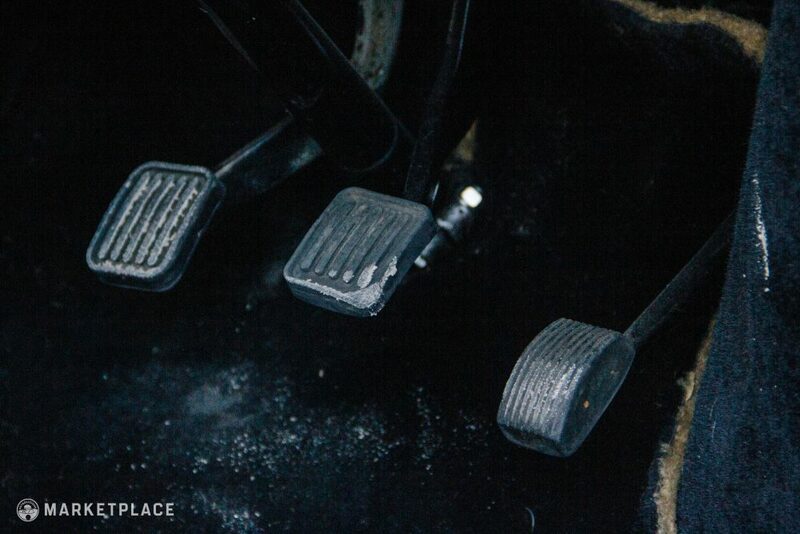 Restoration: All brake and suspension components were replaced with new and correct parts. 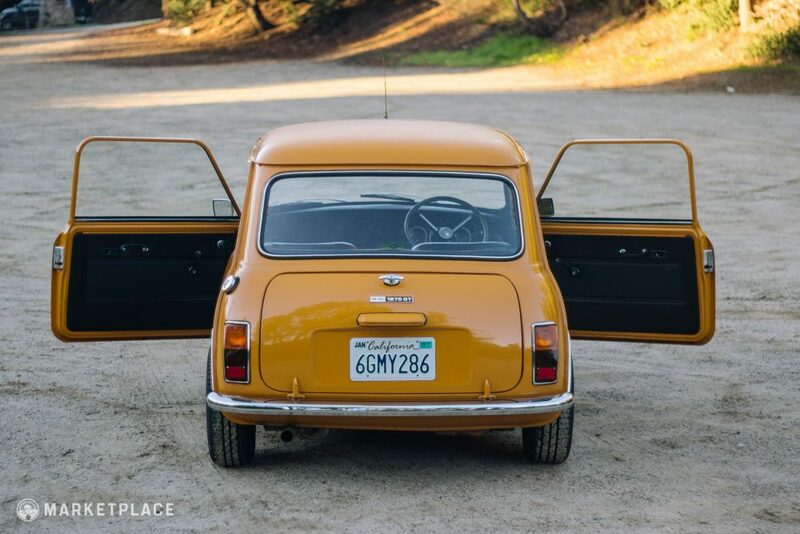 The Drive: As Minis are known for, the turn-in is tight with almost no body roll with quick response and excellent feedback. 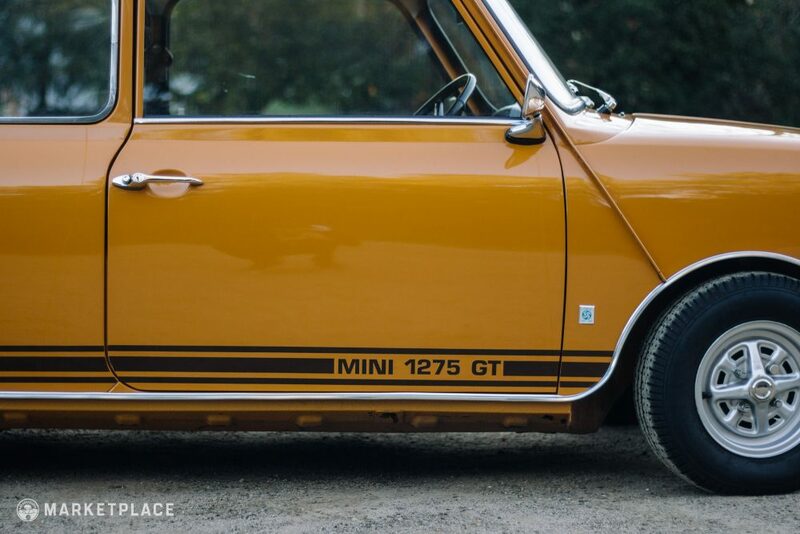 Visually, this 1275 GT was restored in its original Bronze Yellow color and finished to its original appearance. 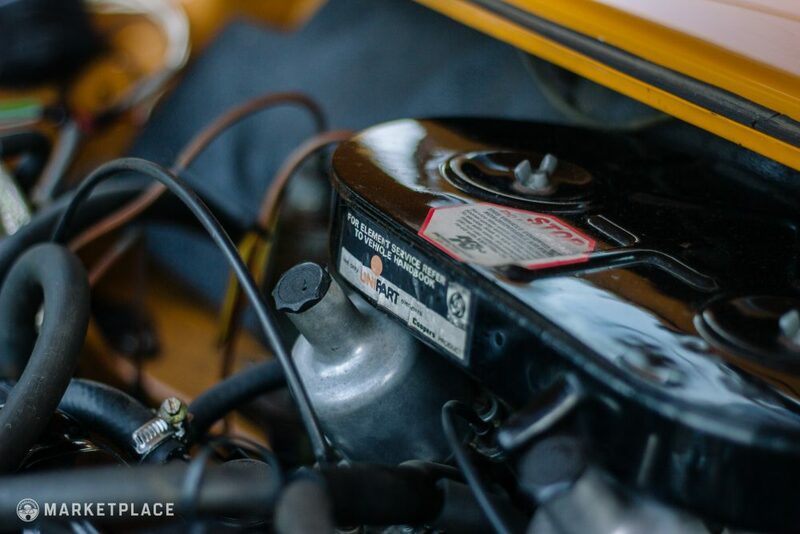 Under the hood, the internal engine modifications are hidden to the unknowing eye; factory looks with added power and performance, the best of both worlds. 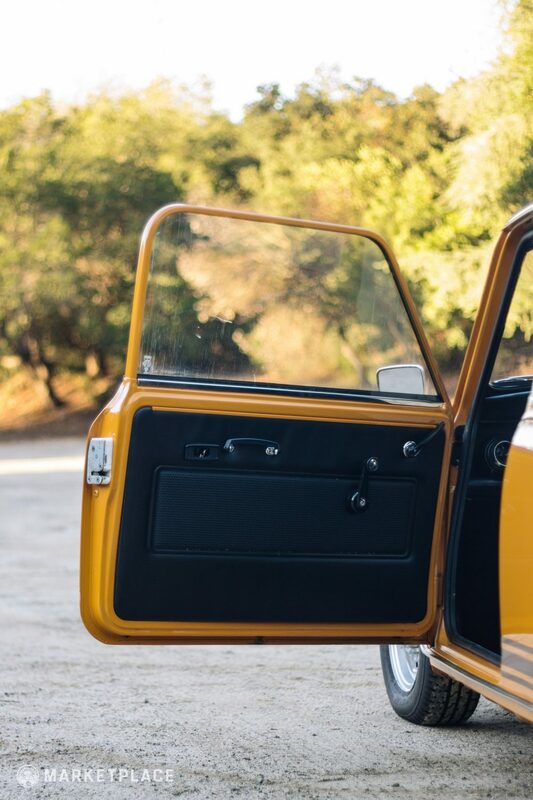 Aside from a modern stereo, the cabin is fitted with a combination of original equipment and factory-appearing equipment to recreate its 1971 appearance. 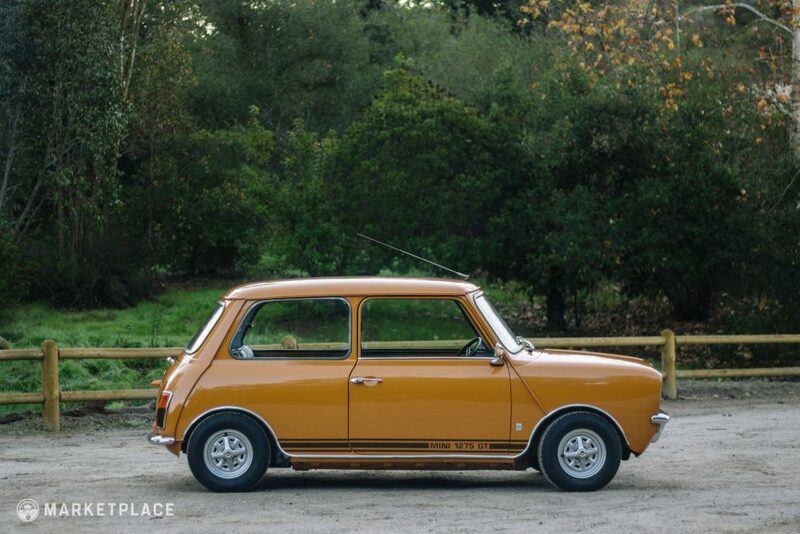 This car, although restored, resembles an original Mini 1275 GT in impeccable condition inside and out. 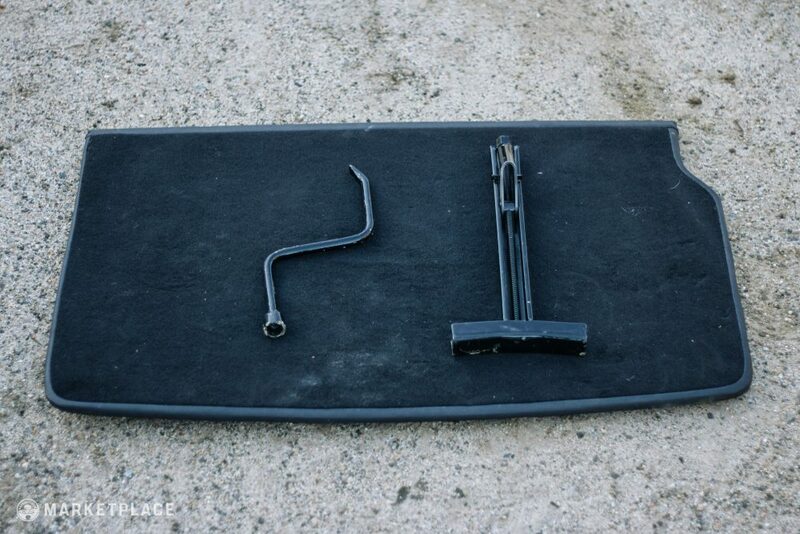 Included in the sale is the original spare, tool kit, jack, as well as various maintenance and restoration documents. 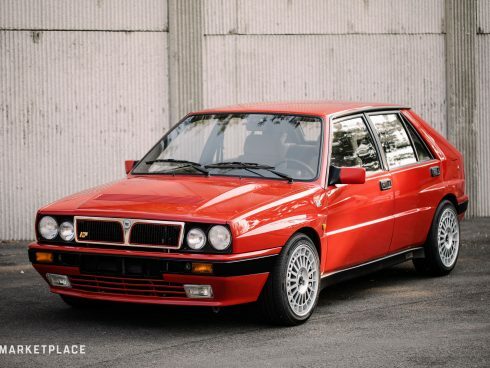 Bang for the Buck: At this price range, it’s tough to find a more enjoyable car for the money. With a synchromesh gearbox, it’s an ease to drive and a blast on any backroad. 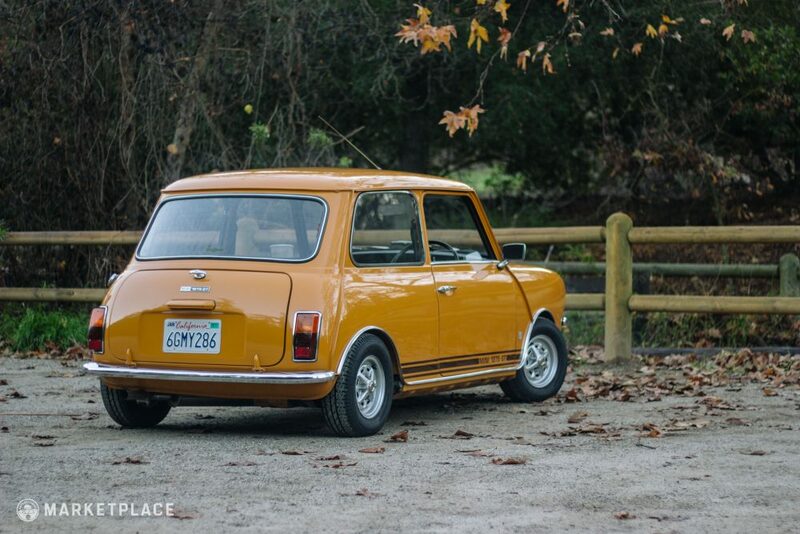 For All Enthusiasts: Restored, charming, fun to wheel, and inexpensive, this is a turnkey entry into the classic car realm or great addition to a growing collection– it’s just a little box of happiness.